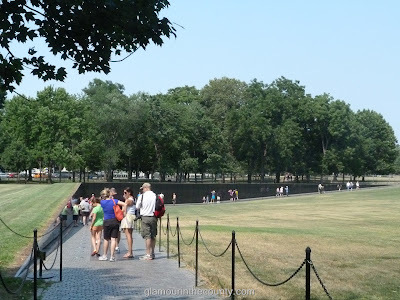 We left the Lincoln Memorial making our way down the left side of the reflecting pool towards the Vietnam Veteran’s Memorial, National World War II Memorial and the Washington Monument. I was disappointed to not see the reflecting pool filled, but the repairs are necessary and it will be open again later this year. 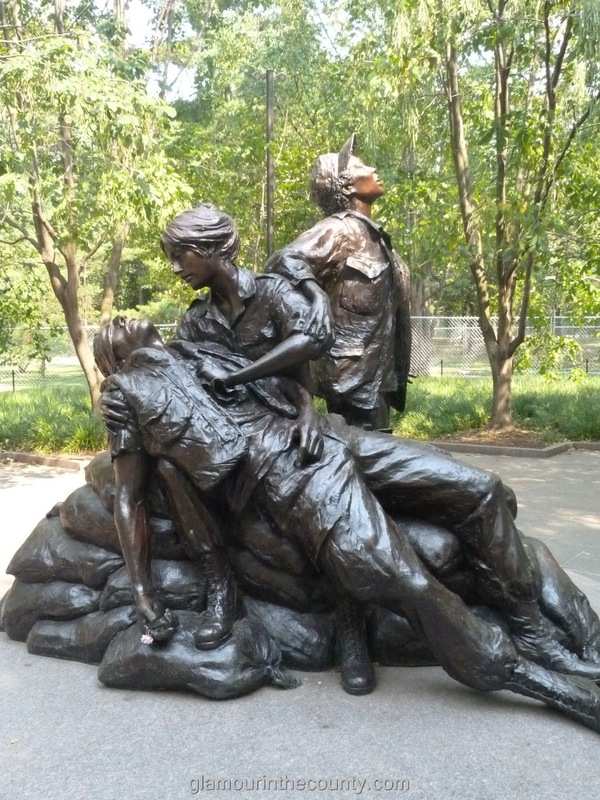 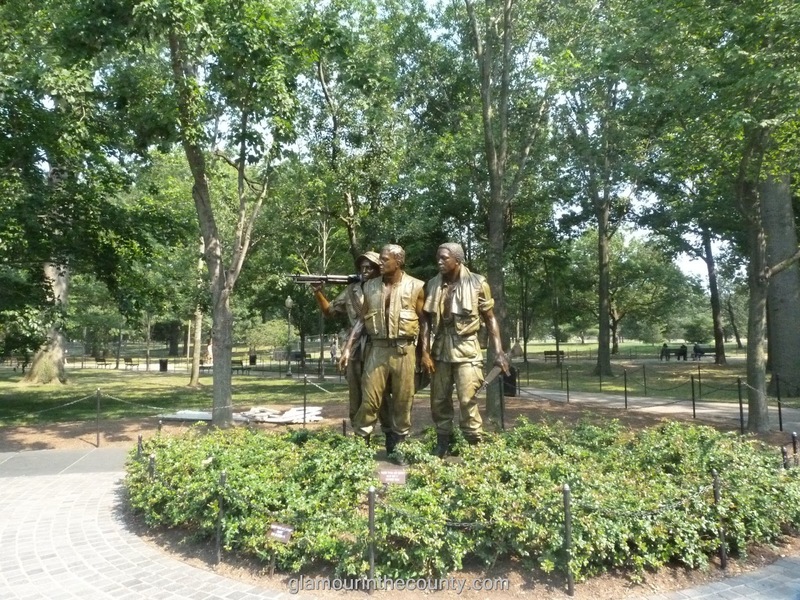 I thought the Vietnam Veterans Memorial and the Vietnam Women’s Memorial were beautiful, the features were so life like. 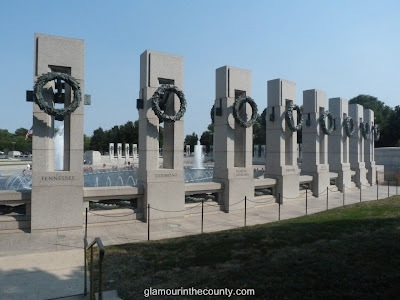 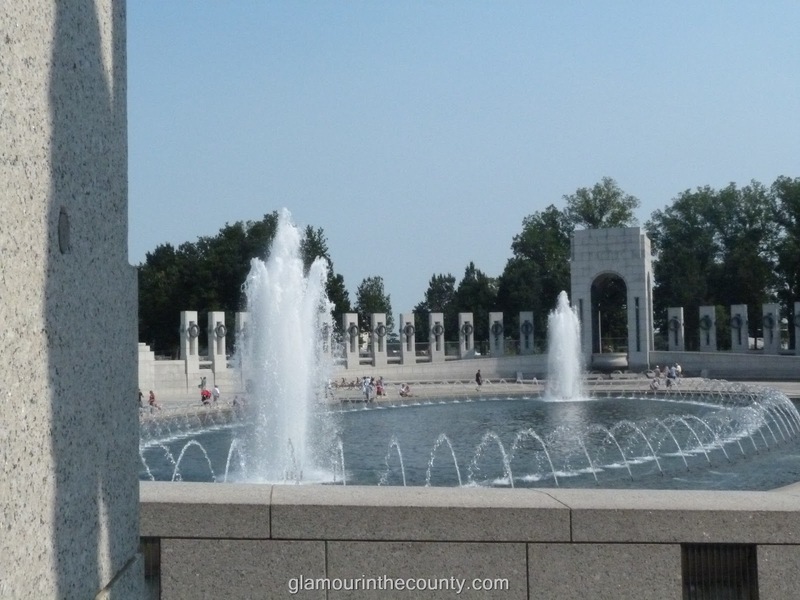 At the end of the reflecting pool is the National World War II Memorial. It is a large pool surrounded by pillars with laurel wreaths. Whilst an open space it still somehow had a tranquil feel. 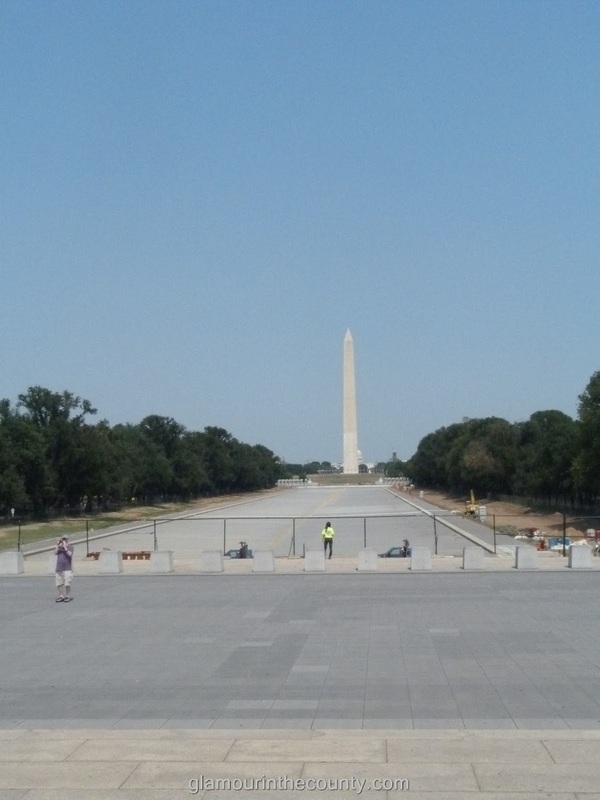 We crossed the road and made our way to the Washington Monument. 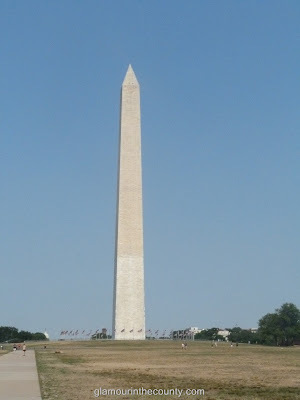 Wherever you are on The Mall or Pennsylvania Avenue you generally have sight of the top of the Washington Monument. 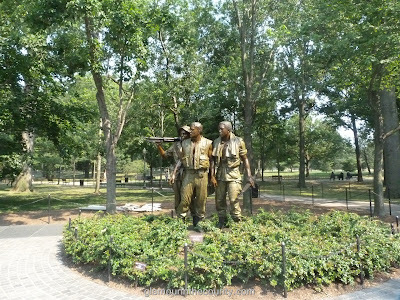 By this time we had covered a lot of ground but what a fantastic day it had been. 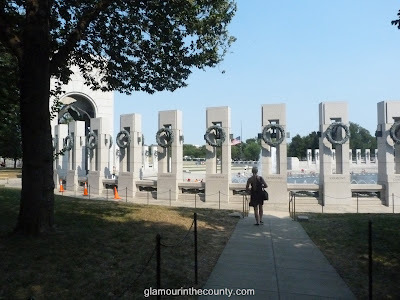 It felt like our visit to Arlington Cemetery was days ago. 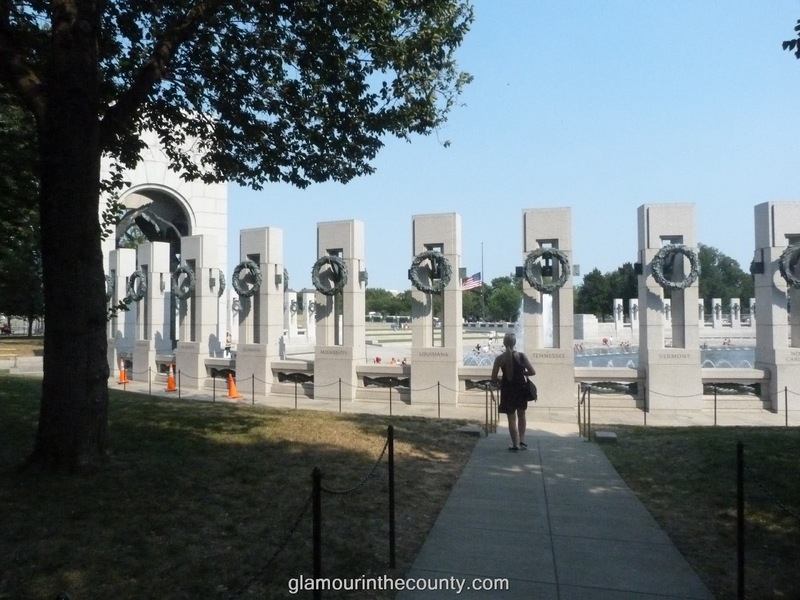 We made our way up The Mall, where there was a festival taking place, back to Capitol Hill.